20 x 32" 36 x 62"
The super size Hay Curly Sheep Faux Fur Newborn Photo Prop from Custom Photo Props is a 62 x 72" artificial fur fabric that is ideal for use as a photo prop. Its soft texture and warm tan coloring is well-suited to photographing newborn babies. The fur is cut directly from the bolt of fabric and does not feature finished edges. 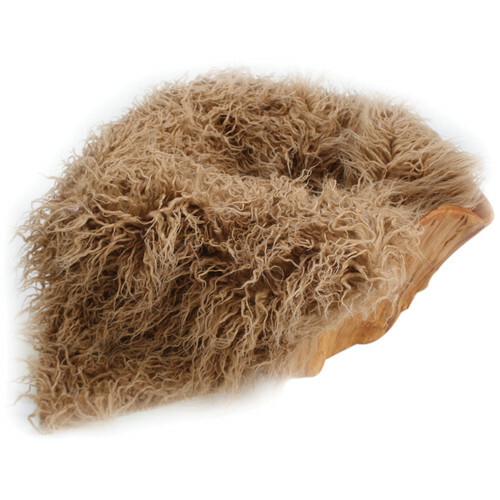 Box Dimensions (LxWxH) 14.5 x 11.7 x 8.3"
Faux Fur Newborn Photo Prop (Hay Curly Sheep, 62 x 72") is rated 5.0 out of 5 by 1. Rated 5 out of 5 by Momtolotsofkids from Wonderful This is great. It washes beautifully.